BANGOR, Maine — An appeals board will hear arguments next week in the dispute between the city and Hollywood Casino over the taxable value of the casino’s properties. The casino is seeking to reduce its assessed property value from $98.18 million to $61.38 million, a difference of $36.8 million. The Bangor Board of Assessment Review will hear arguments in the dispute at 5 p.m. Wednesday, Aug. 5, on the third floor of City Hall. The hearing is open to the public. 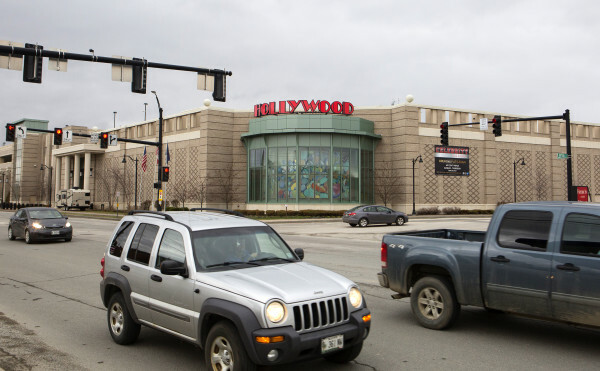 If the casino succeeds in its efforts, the city will be forced to refund $876,849 of the $2.6 million already paid by the casino for the 2014 tax year. The refund would exceed the $322,150 the city has reserved to cover tax abatements and write-offs. Casino officials have argued they are due a refund because of softness in the economy and because the city used “improper valuation techniques” when it increased the casino’s taxable value from $94.75 million in the 2013 tax year to $98.18 million in the 2014 tax year, leading to a $71,217 increase in its annual tax bill. Most notably, they have argued the valuation should not include the value of their gaming license and other intangible properties. City Assessor Phil Drew has declined to say whether his valuation included intangible properties such as the gaming license, saying he would save his comments for the hearing. Drew already has rejected the casino’s initial abatement request, leading to the casino’s appeal. To win its case, the casino must prove a credible alternative value that is significantly different from the city’s assessment. Under state law there are three methods for assessing property value. The city has used replacement cost, which bases the value of casino facilities on the cost of replacing them and includes adjustments for depreciation and recent improvements. The other options are the market approach, which bases property value on the recent sale of comparable, nearby properties, and the income approach in which the assessor calculates what the rental income of the property would be based on what similarly situated properties take in. With the income approach, the assessor then subtracts expenses to get the property’s total income and attempts to determine what portion of the property value is attributable to the property itself and not the business inside. Without another casino in Bangor to make the market approach applicable, the casino is expected to use the income approach. The casino has enlisted the help of international auditing firm Ernst & Young, which has completed its own assessment of the casino that casino officials said showed a significantly different value. The details of how Ernst & Young calculated the property value are unknown, but casino officials have said it does not include the value of the gaming license or other intangibles. State law requires Drew to consider all three approaches, but it allows him to use the method he feels best reflects the property’s value. Theoretically, all three methods should produce similar valuation results if applicable. In its Jan. 9 abatement request, the casino submitted three property tax transfer forms in which the casino property was transferred between subsidiaries of the casino’s parent company, Penn National Gaming Inc., with all transfers taking place on Oct. 25, 2013. Each of those forms showed the casino’s value at the $61.28 million valuation sought in the abatement request. Drew rejected those as evidence of the casino’s true value on May 6, arguing that property transfers between related companies do not represent true market value. He also noted the casino was insured for $93.5 million and that another casino-commissioned assessment by the global professional services firm KPMG valued the property at $108.43 million as of Nov. 1, 2013. Dan Cashman, a spokesman for the casino, said in an email to the Bangor Daily News that those two items were not evidence of the casino’s true value because KPMG’s assessment included the gaming license and other intangibles and the insured value did not take into account depreciation or softness in the economy. The City Council has approved the hiring of Portland lawyer William Dale at an estimated cost of $20,000 in order to fight the abatement request.